It's out! Start to unpack it with us! We're excited to dive into the layers of wisdom and guidance the Holy Spirit has given us. With the opening of the 15th Ordinary General Assembly of the Synod of Bishops, CCYMN is excited to be following this historic event and to offer some materials and resources that you can use during the Synod. The Instrumentum Laboris follows on the heels of the Preparatory Document. It is a working document that aims to compile and examine the extensive research collected by the Vatican through online surveys, an International Seminar on the Condition of Youth in the World, and the Pre-Synodal meeting, among other sources. 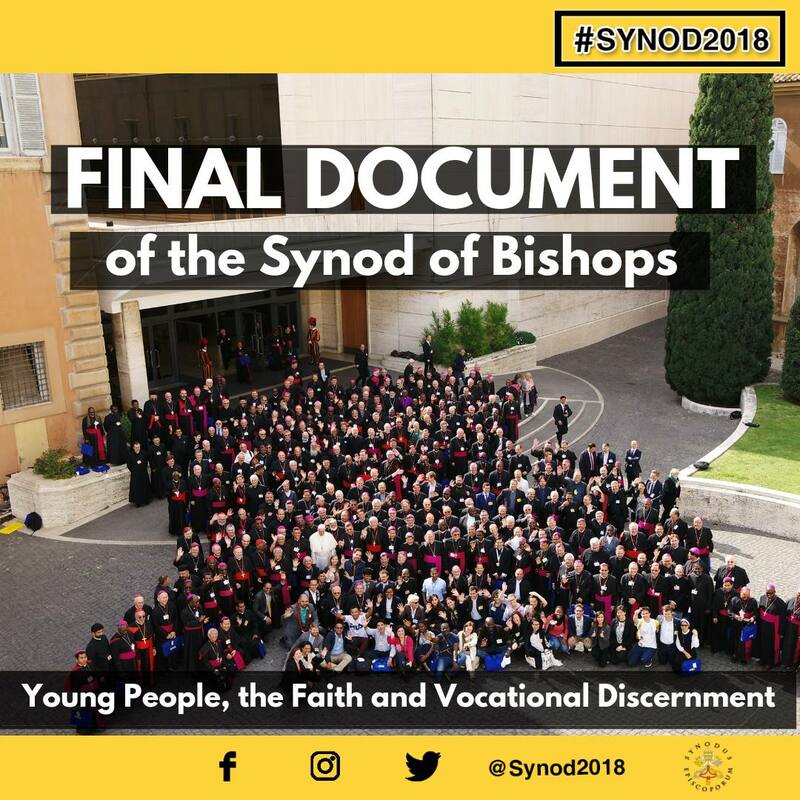 Released alongside the Preparatory Document, this letter of Pope Francis, addressed to the young people of the world, details his desires for the younger generations and informs them of the topic matter at the 2018 Synod. Download Pope Francis' Letter in French. ​Download Pope Francis' Letter in English. The Preparatory Document, released at the beginning of 2017, served as a starting place for the conversations and feedback that would drive the discussions at the Synod taking place the following year. Download the Preparatory Document in French. Download the Preparatory Document in English. We would encourage everyone to host some local gatherings around the synod, which could include a time of prayer for both the global Church and also the local Church. Below is a sample prayer service that you can use and tailor to fit your own local communities, as well as a simple prayer card that can easily be tailored or printed as is. ​Download Sample Prayer Service here. Download Synod Prayer Card here. For more content, check out Salt + Light Media, the official Vatican Synod web page, or our CCYMN Facebook page.